Kyle Mills just released his third book in the series, ENEMY OF THE STATE. I recently finished reading it and have to report that Mills has completely captured the voice of Vince Flynn. This Rapp novel not only holds its own against the previous books, but takes it to a whole new level. The story takes us back to the Middle East Theater, where Saudi officials are working with Isis. Rapp is recruited by the president in a late night meeting to work “off the grid” to bring the crisis to a favorable conclusion. Working outside of the company, Rapp recruits familiar players from previous books as he assembles his team of mercenaries. No spoilers here, but of course he stops the conspiracy in typical Mitch Rapp style. With all of the twists and turns, I couldn’t turn the pages quick enough. 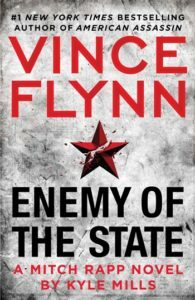 ENEMY OF THE STATE – is sure to be one of the biggest books of the year. A special thanks to Kyle Mills for keeping this series fresh and exciting. With American Assassin hitting the big screen in a few days, a whole new audience will be introduced to Mitch Rapp. I can’t wait to see how Hollywood treats our favorite spy. Maze Runner star Dylan O’Brien plays Rapp, with Michael Keaton playing the old CIA sage, Stan Hurley. Some wonder why American Assassin was picked for the screen first, after all it’s the 11th book in the bestselling series. Consider this – Hollywood likes order and American Assassin is the first book, chronilogically speaking. Fans of Craig Johnson and his character Sheriff Longmire were pretty vocal when A&E announced it would cancel the series after a massive cliffhanger at the end of season 3. 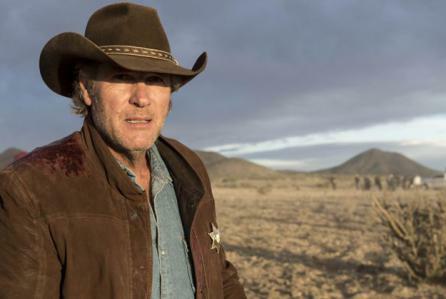 Well, weep not – Longmire will live on at the hands of Netflix, who nabbed the rights to the fourth season with ten new episodes arriving in 2015. 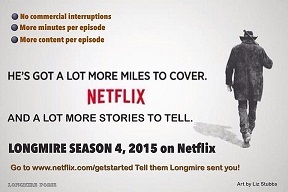 Longmire fans’ dedication to saving the show paid off. A&Es cancellation of the series triggered one of the biggest outpourings of fan support ever for an axed TV series. The cast members, led by Robert Taylor and Katee Sackhoff, have all made their deals for Season 4, picking up moments after season three’s explosive finale. What’s a AWATT – and what is Liam Neeson doing presenting it at the Zurich Film Festival? AWATT is the film industry’s abbreviated form of A WALK AMONG THE TOMBSTONES, a film based on Lawrence Block’s tenth Matthew Scudder novel. It is the brilliant work of writer/director Scott Frank, and stars Liam Neeson, with a terrific supporting cast. It opens worldwide Friday September 19. Lawrence Block is without a doubt the most prolific American crime writer. 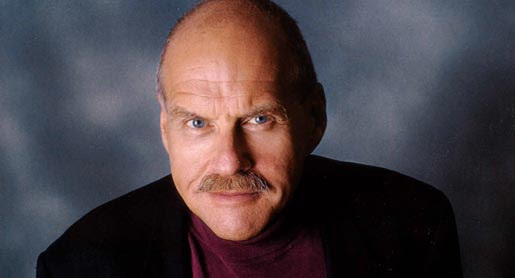 Named a Grand Master by the Mystery Writers of America in 1994, Lawrence Block came to prominence in the 1970s when he introduced us to his most famous creation, the ever-evolving Matthew Scudder, an alcoholic ex-cop working as an unlicensed private investigator in Hell’s Kitchen. He has written 17 Scudder novels and a collection of short stories, the most recent being 2011’s A DROP OF THE HARD STUFF. Block also created 11 Bernie Rhodenbarr novels, including THE BURGLAR WHO COUNTED SPOONS in 2013, 8 Evan Tanner novels, 4 Chip Harrison novels and a collection of eighty-four short stories, ENOUGH ROPE containing two Chip Harrison stories, and 5 Keller novels including 2013’s HIT ME. Recently, Block began reissuing titles he wrote in the 50s, 60s and 70s under different pseudonyms. With the release of a new Jill Emerson novel GETTING OFF in 2011, he wrote 8 books as Jill Emerson, 3 written as Paul Kavanagh, 8 written as Sheldon Lord with 69 BARROW STREET recently re-released with his Ben Christopher novel STRANGE EMBRACE, 5 as Andrew Shaw and numerous others. Block also wrote over a dozen standalone titles, a half-dozen or so books of short stories, several books about writing and a memoir. Wow! A Walk Among the Tombstones is the first movie from a Matthew Scudder novel. In 1987 Hollywood had plans to make a movie adapted from Block’s 1978 novel The Burglar in The Closet, starring Bruce Willis as Bernie Rhodenbarr, Block’s lovable burglar, with Whoopi Goldberg playing the next-door-neighbor. When Willis backed out of the production, they adapted the script to star Whoopi in the title role. It was released as Burglar. It has been a long time since I have read a book that was as difficult to put down as “Savages” by Don Winslow. The writing style is like nothing I have ever seen. It defiantly breaks all the rules of writing I was ever taught and I loved it! The story follows three friends who find themselves going to war with the Mexican drug cartel. The story is told from many view points and they are all vastly different. I am excited to read the prequel, “The Kings of Cool” and discover how it all began. This fast paced and intense novel has become a major motion picture and I am eager to see how they turned such a unique novel into a film.